I will start with the conversation between Harbard and Aslaug. Aslaug asks where Harbard has been. When he tells her I walked trough many worlds of the living and dead. Harbard reverses to Odin who was able to rule over the living and dead. So Harbard is Odin in this conversation. When Aslaug asks him about why he came back he knew she was suffering. He thought Ragnar was dead or away. She tells her about Ragnar's punishment because of what happened to Siggy and what happened to the children. 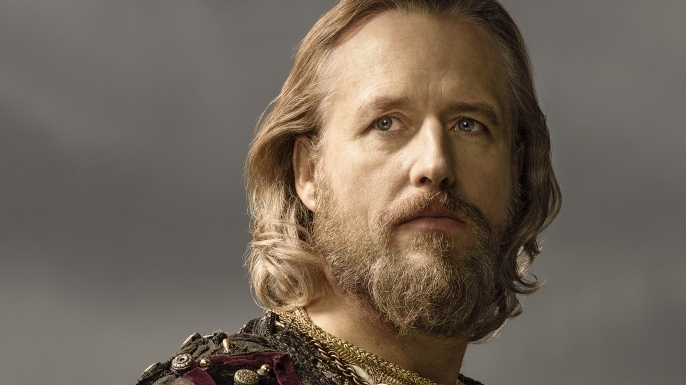 He could also bring Aslaug the news of Ragnar's dead or a new believe change on its way. He is certainly trouble. In the scene with all the women and Harbard, he is a seer and Odin because he announce that she will have three children. The other woman tells him he is a holy man who is close to the gods. He is Odin there again. When he goes into the women's house he is Odin as well. Odin is known of his affairs and marriages to different women. 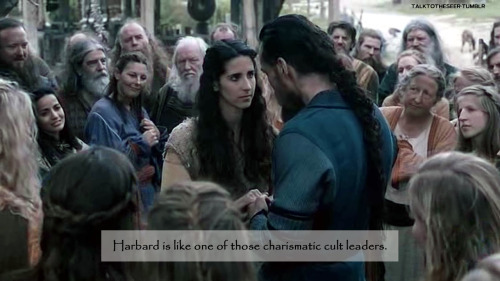 Harbard or it is the reference to Harbard (Odin) and Floki (Loki) as blood brothers or even suggest by Viktor Rydberg that Odin and Loki are the same. It is fascinating to see that this crossover between the three of them is so pure and connected that even in a moment I believed Aslaug was a god herself but I can't tell you at this moment if she is one and if she is who she is. I can see a conflicted Floki for sure. If we take Mercia even there we can find mythology in the Mausoleum the Queen with the cut of tongue and breasts takes us to Queen Off and the story of Beowulf (Norse mythology and Tolkien). Wixton is not yet a saint. The mythology tells that Wixton is a Saint because when he died a few miracles happened in the tomb of the mausoleum.